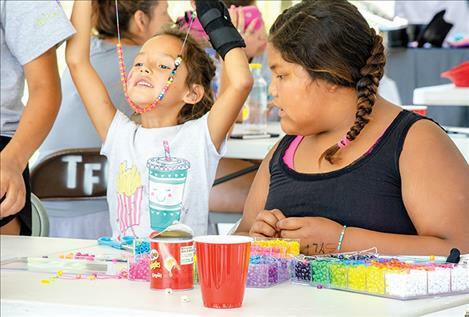 Chilren make beaded jewelry at one of the many stations. Kids dunk their heads in a bucket of water and went bobbing for apples. 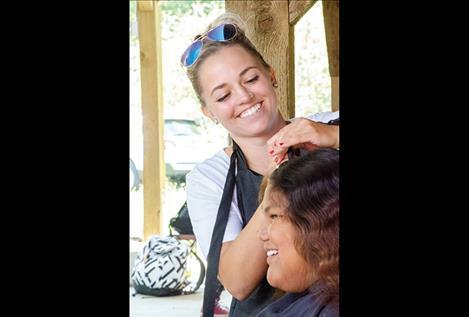 Holly Oakland of Rootz Salon gives one of more than a dozen haircuts during the event. 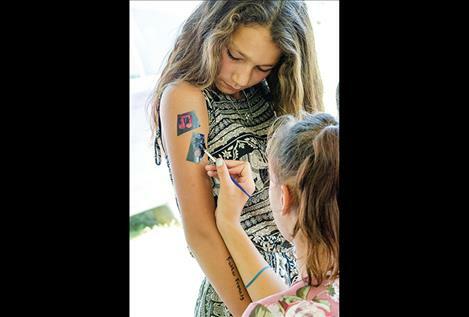 ST. IGNATIUS – Youth leaders on the Flathead Indian Reservation pointed out that kids need positive connections with other kids to help prevent health problems, addiction, and even suicide. 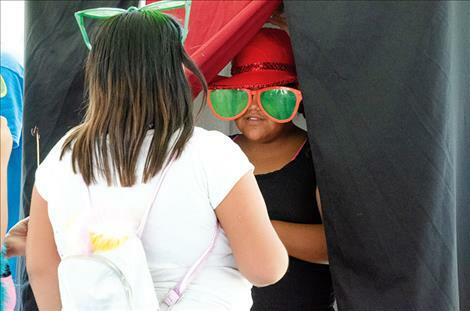 Willie Stevens, Youth Leadership program coordinator, said that adults are listening. The program he helps lead was created to help kids connect to each other. 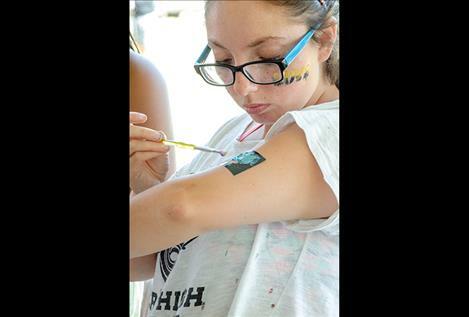 Youth leaders are encouraged to make connections while participating in organized activities including those in a summer program. 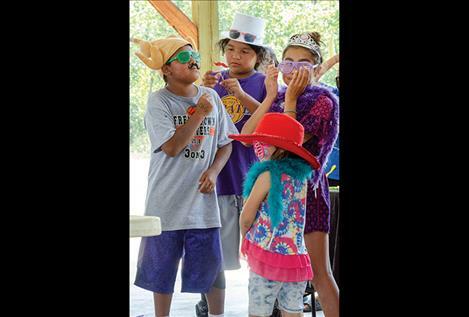 The summer portion of the Youth Leadership program came to an end last Thursday with a celebration at the Good Old Days Park as kids got together to get a haircut, fish for apples, share a meal, and compete in a bungee race among other activities. Ashley Glass, adult leadership coordinator, said though the summer portion of the program was ending, the fall version will soon start. “We hope to get kids back in September for after school events,” she said. She added that people can call Tribal Health at 406-745-3525 for more information about signing up. 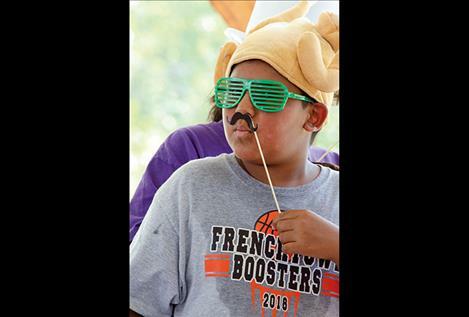 About 120 children in fifth grade and up from all across the reservation attended week-long programs in St. Ignatius and Elmo. 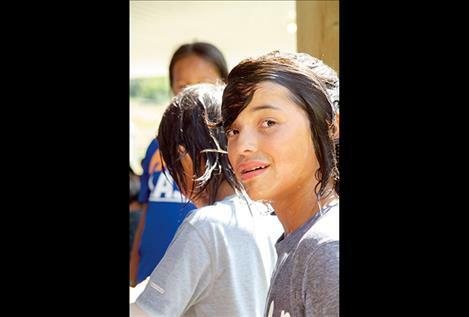 The grant-funded program provided structured get togethers for swimming, hiking, and games to reservation youth. The goal is that the gatherings create opportunities to connect to mentors and to find new friends among their peers. “This is the second year of our health and wellness effort that includes the prevention of suicide, diabetes, and tobacco use,” Glass said. Donavan Parker, college level youth leader, said he talked with kids in groups and one-on-one if they needed it. “We took away their phones and the internet, so they really had to sit and talk to each other,” he said. A few of the kids were able to open up and ask for help. “Some kids don’t have the greatest home life, so we would have counselors with Tribal Health take over on those deep situations,” he said. 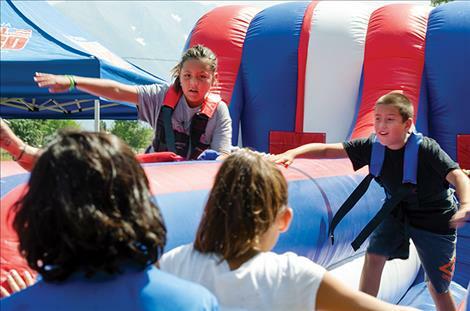 The Montana National Guard set up a bouncy race station for kids to strap in and see who could go the farthest before the bungee cord pulled them back. 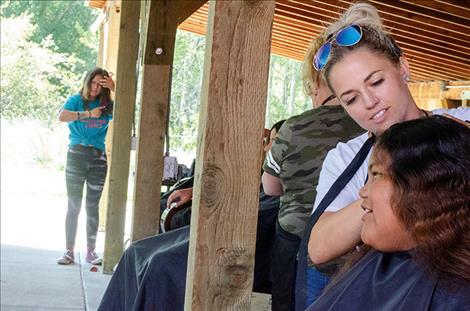 Hairdressers from Rootz salon in Ronan were at the event to give kids free back to school haircuts if they wanted one. 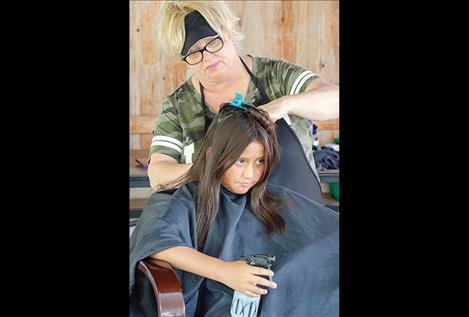 Holly Oakland, Nona Amble and Kristy Smith stood under an awning with their chairs and scissors – each giving about 15 haircuts to the kids. Styles ranged from buzz cuts to simple trims. 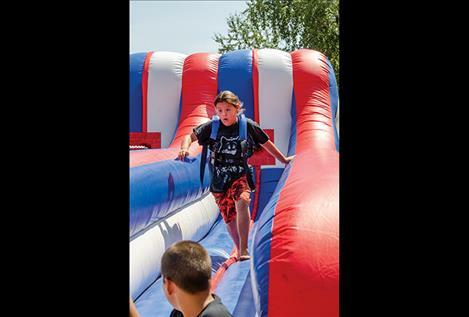 “I have a client that works with the youth program, and so when we heard about this event we thought it would be great to help out,” Oakland said. The hairdressers also offered to braid or tie up longer hair. Phoenix Numkena, 9, sat in the chair and had a few long layers put in her hair. She said it was nice to get her back-to-school haircut done. 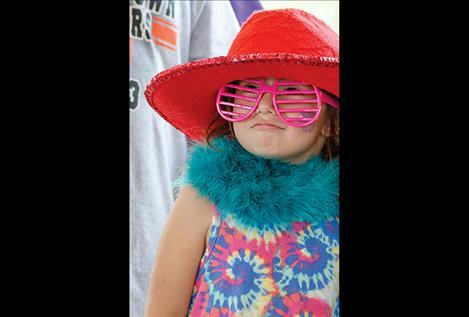 While sitting in the chair, she said she enjoyed several activities at the event including the snow cones and the bouncy house.